Garmin watches have a reputation for innovation, reliability, durability and precision. 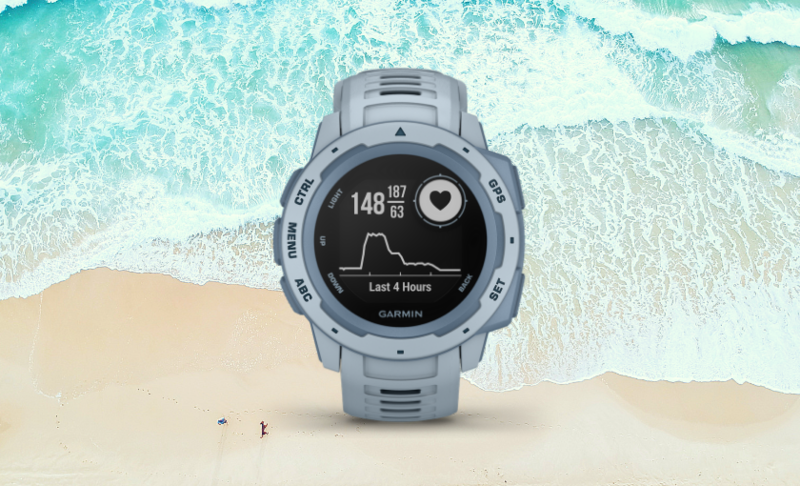 In 2019, Garmin are bringing the heat with their latest watches and we have put together a list of their new creations, just for you! 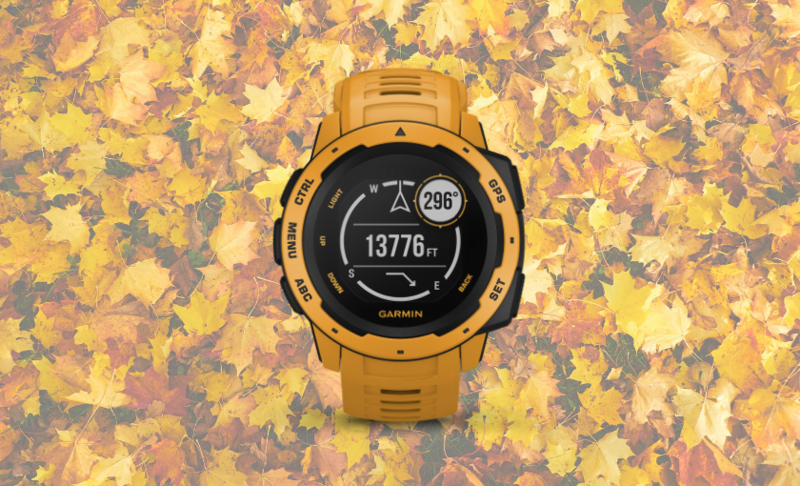 Along with it's bright and beautiful sunburst colour, the new Garmin Instinct watches are here to impress. This is a rugged, reliable outdoor GPS watch and is built to U.S. military standard 810G, for thermal, shock and water resistance. 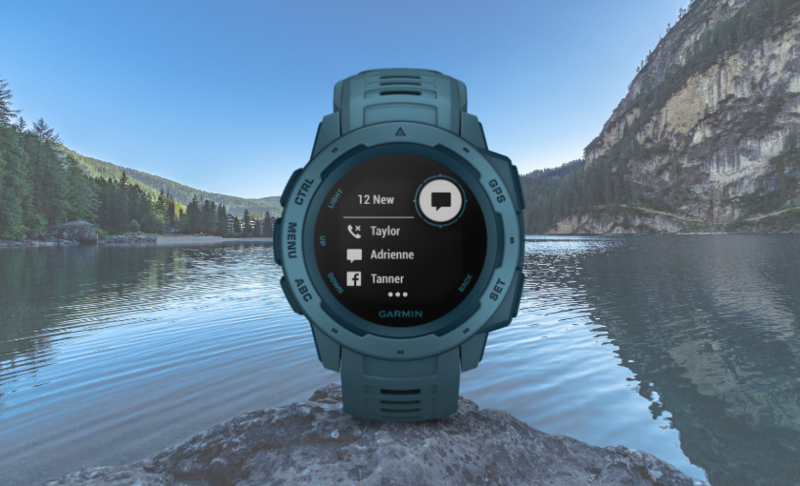 This new Garmin Instinct colour sports a stunning lakeside blue colour. Along with it's reliable GPS systems, this watch has smart features, such as notifications, music controls and more. The last but certainly not least of the newest Garmin Instinct watches, we have Seafoam, who knew this would make such a stunning colour. This watch displays steps, calories, distance, heart rate, sleep behaviour and intensity minutes. 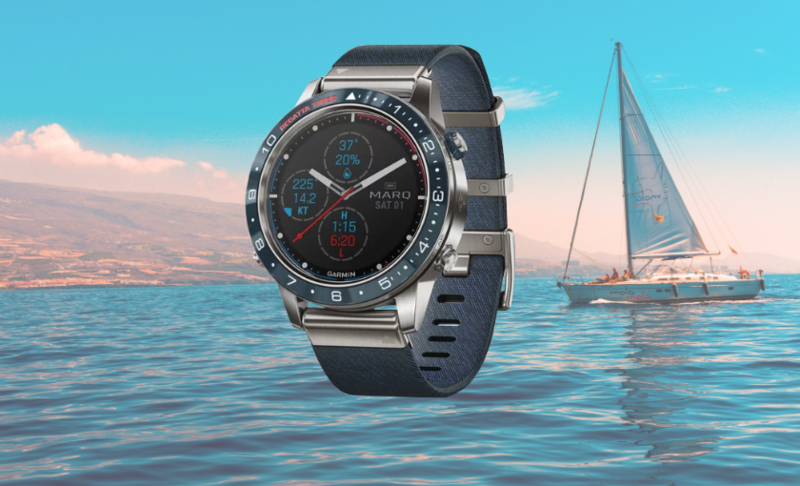 The MARQ Driver is the luxury modern tool watch that accelerates your passion for racing. 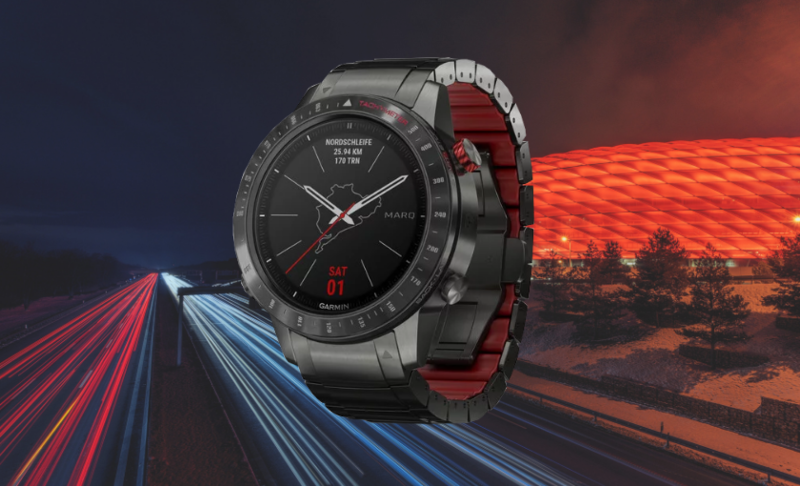 It is the very first smart watch to come preloaded with 250 racetracks from around the globe. It has perfect features fit for those who have a passion for driving. 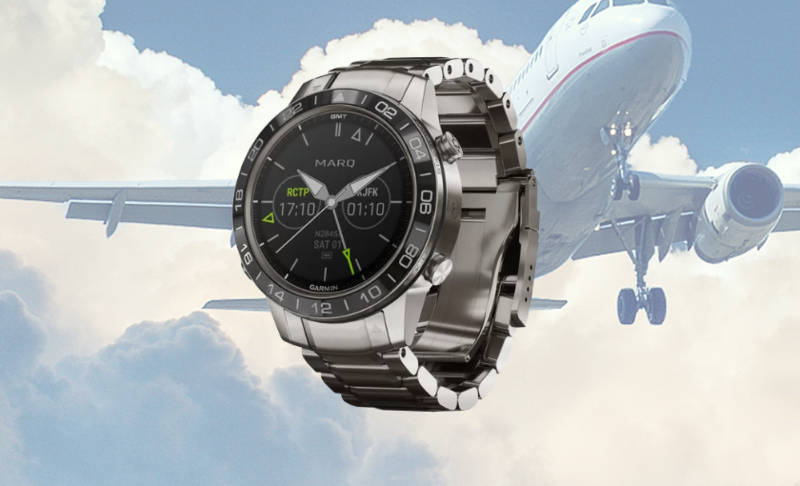 The MARQ Aviator is the watch that champions the spirit of flight and guides you anywhere life leads. The features include everything a pilot needs, like sleep analysis, moving map, weather reports, as well as an emergency navigation kep which quickly activates a path to the nearest airport. MARQ Captin revels in routing the fleet, with advanced nautical features. sailing features, including tack assist, man overboard, autopilot and boat data are designed for one who lives life at the helm. With MARQ Expedition you are compelled to push higher. 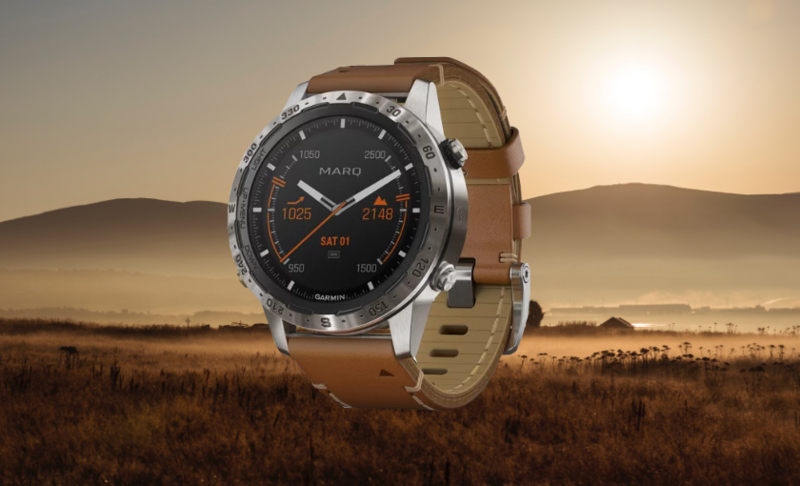 Use the etched 360 degree compass bezel and orienteering feature to navigate with a classic compass overlaid on a map. Save battery power with the expedition app so you can extend your travels into the backcountry by weeks. 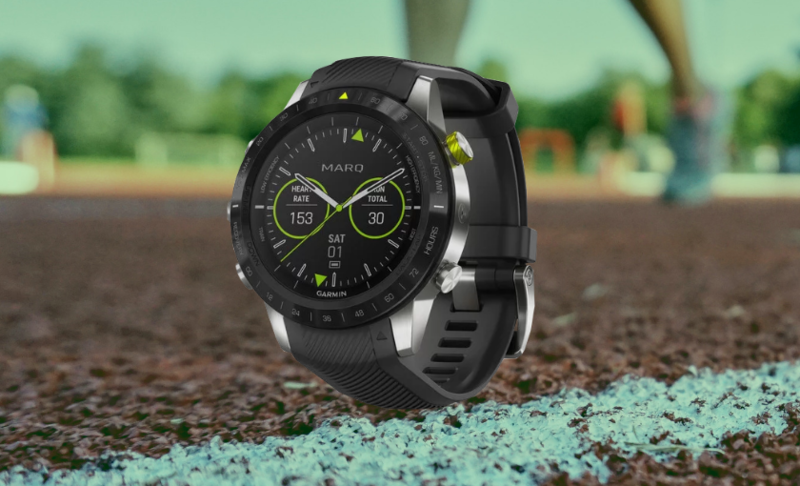 The MARQ Athlete watch is tuned to separate you from your competitors. Performance metrics can detect if you're peaking, while race predictor projects how fast you'll run your next event. Other useful features include popularity routing, running dynamics, climbpro and much more.